A Collection of Step-By-Steps with a Turkey Twist. 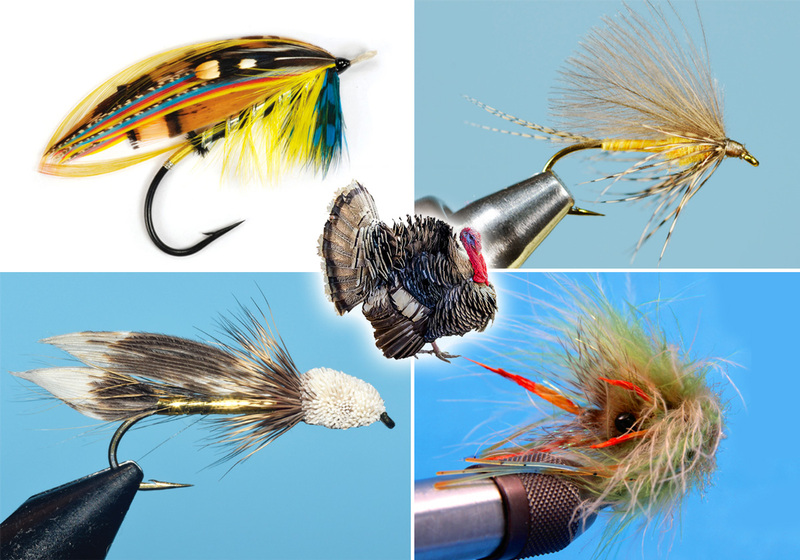 For fly tyers, turkeys are more than just fine table fare. These gamebirds house a wide repertoire of feathers that are used to tie various patterns both new and old. 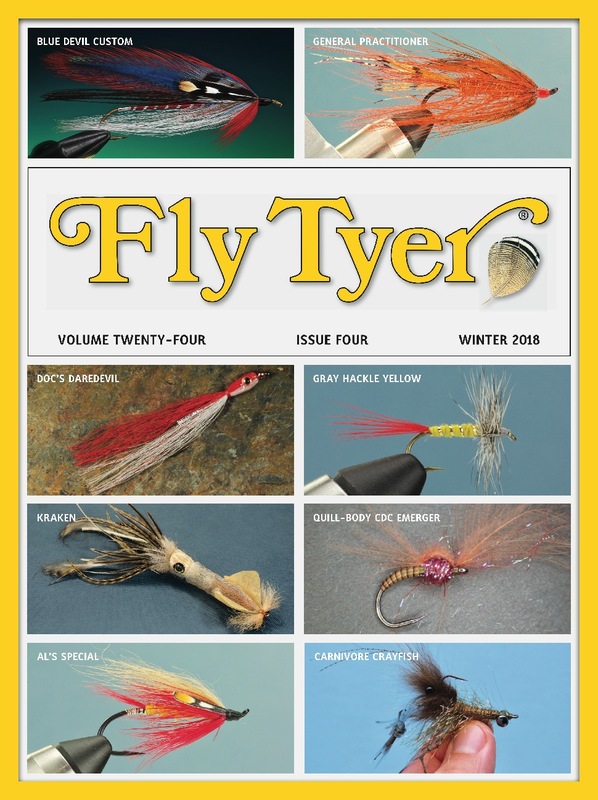 Below are a few patterns we have published over the years that implement a touch of turkey in their design. Hook: 3X-long dry fly hook, size 10. Tail: Wood duck flank fibers. Abdomen: Tannish yellow turkey biot. Wings: Light brown or natural dun cul de canard. Hook: 4X-long streamer hook, sizes 12 to 2. Thread: Gray 8/0 or 6/0 (70 or 140 denier). Body: Danville Nylon Stretch Floss. Body: Flat or embossed gold or silver tinsel. Gills: Red 8/0 (70 denier) tying thread. Collar and head: Natural deer body hair. Hook: Partridge CS10/3 or Partridge CS10/1, sizes 4 to 2/0. You may substitute with another brand of classic salmon hook. Thread: Black and white flat-waxed Nylon, and black non-waxed thread. Tag: Round silver tinsel and orange floss. Tail: Golden pheasant crest feather. Body: Orange floss and black mohair. Underwing: Peacock herl tippet feather. Wing: Slips of red and yellow domestic goose or turkey tail, and golden pheasant tail. Topping: Golden pheasant crest feather. Hook: Gamakatsu SC15 or similar saltwater hook, size 2/0. Thread: Blue Danville Flat Waxed Nylon 210. Eyes: Black extra-large EP Crab/ShrimpEyes. MouthParts and head: Tan Krystal Flash, tan grizzly marabou, and olive Polar Chenille. Claws: Light brown rabbit Zonker strip. Body: Mutton snapper–colored EP Fiber 3D, and olive and tan marabou. Legs: Pumpkin-colored Fly Enhancer Legs. Adhesive: Clear Cure Goo Hydro and tack-free Flex. More stuff: Red, orange, and blue permanent markers.